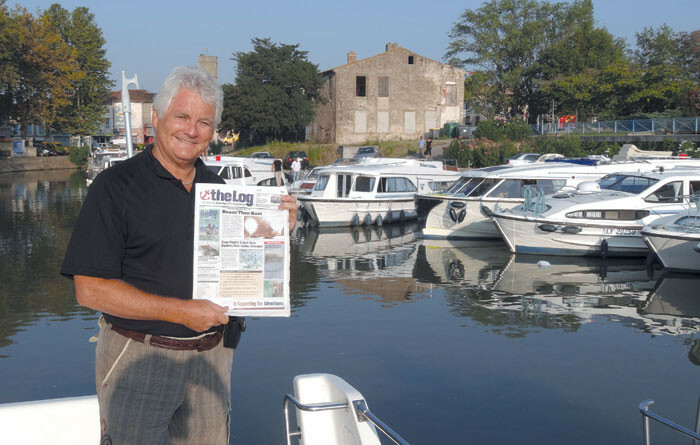 Trebes, France — Reg Boynton-Lee of Scottsdale, Ariz., recently boated on the Canal du Midi, aboard a 42-foot three-cabin cruiser. I have traveled to 40 countries in the world, and my wife and I agree that this vacation has been one of the best holiday experiences we have ever had, he reported. The great food, great wine and French attitude was something to remember — plus, of course, our reading companion, The Log, which was read by all.